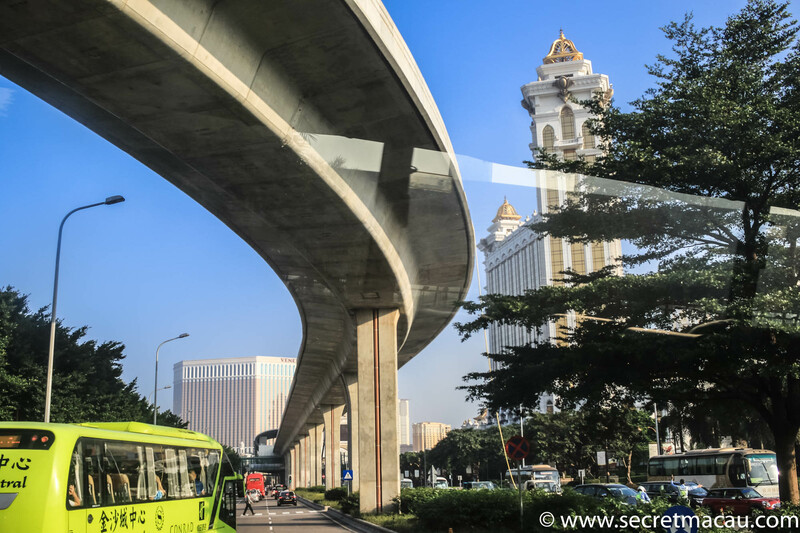 Still under construction, the Macau Skytrain (Light Rail Transit) system is a rapid transport system, designed to relieve the growing traffic congestion on the roads and bridges in Macau. 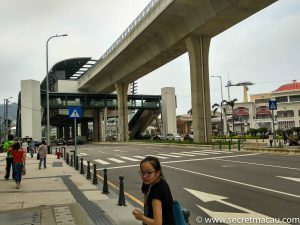 It will run on elevated guideways to keep it separated from the traffic. It is still very much under construction at the time of writing (2018), but the skeleton of it is hard to miss all over Taipa. 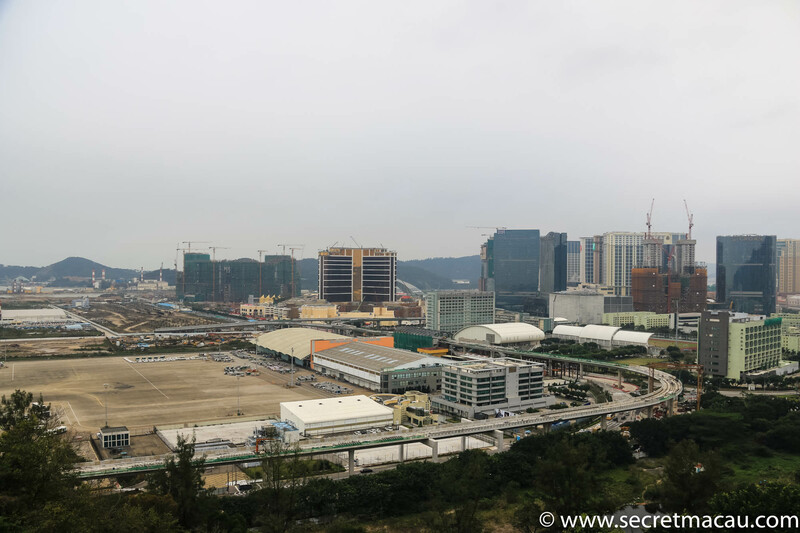 It’s massive concrete body snakes around Cotai, and down past the Taipa stadium towards the bridges. 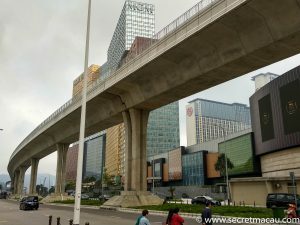 It will add an extra visual dimension to the already impressive architecture on the Strip when it is finally completed. 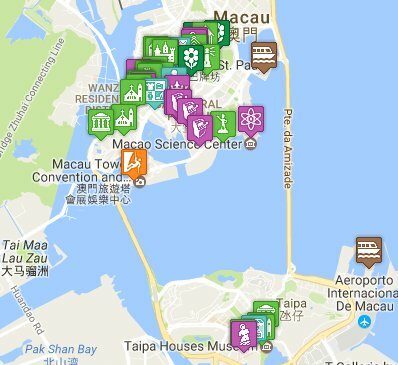 The first phase of development is currently under construction. This is the Macau-Taipa Line, running from the Chinese border gate in the north to the Taipa ferry terminal on the eastern coast of Taipa. 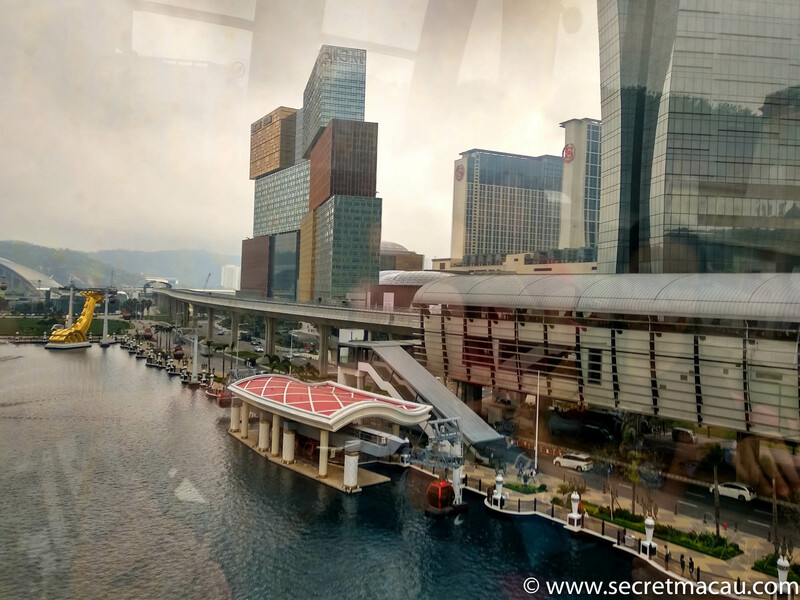 The route skirts the east and south of the Macau peninsula, crosses the Ponte de Sai Van bridge (using reserved space ion the lower deck) onto Taipa, where it forms a large loop, taking in the Cotai Strip casinos before terminating at the new Taipa Ferry Terminal. 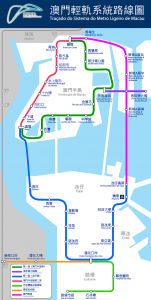 This line will have 21 stations along its route when complete. 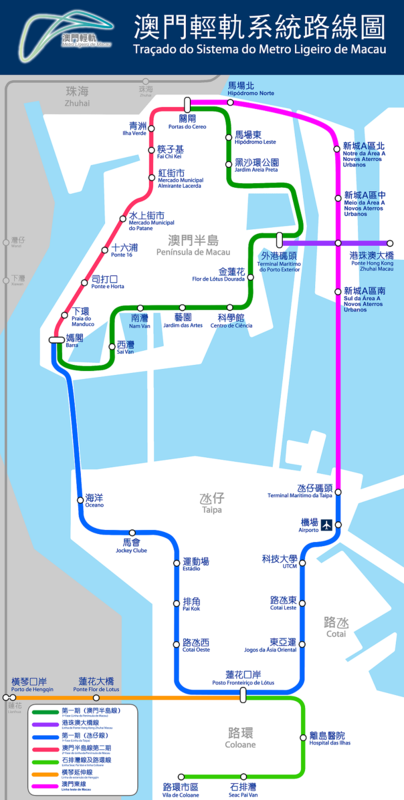 The Macau Skytrain was first proposed in 2003 by the Macau government. 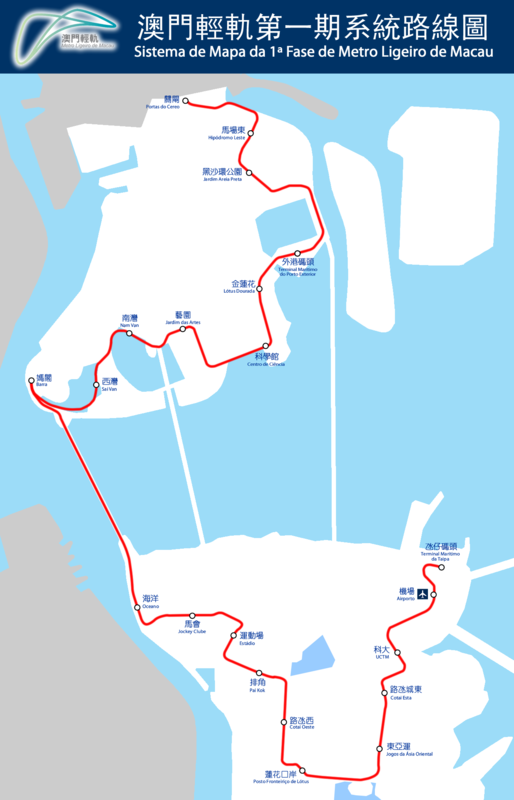 The proposal was not officially accepted until October 2006, with site investigation work beginning in 2008. 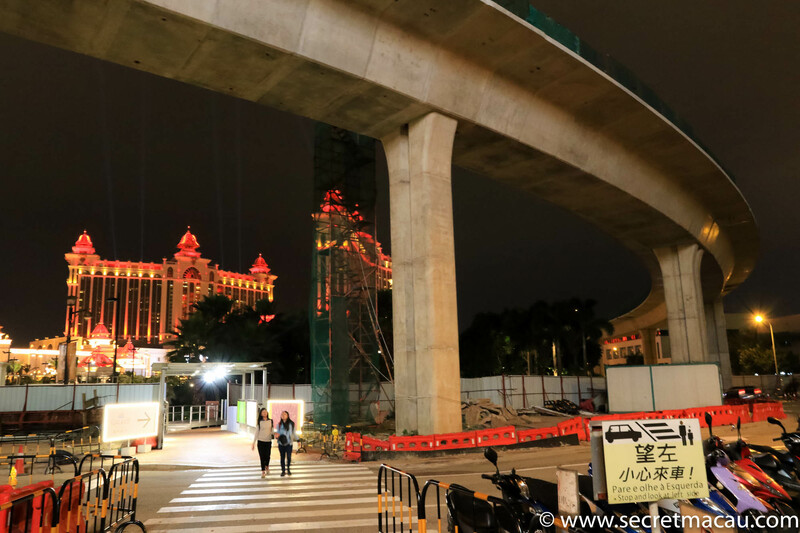 Construction of the current phase on Taipa began in 2012, and this section is expected to be operational by 2020. 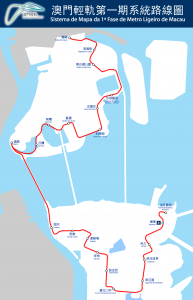 The Macau peninsula section of Phase 1 is due to complete in the early 2020s (though with the challenges of constructing such a beast in Macau proper, this sounds a tad ambitious). 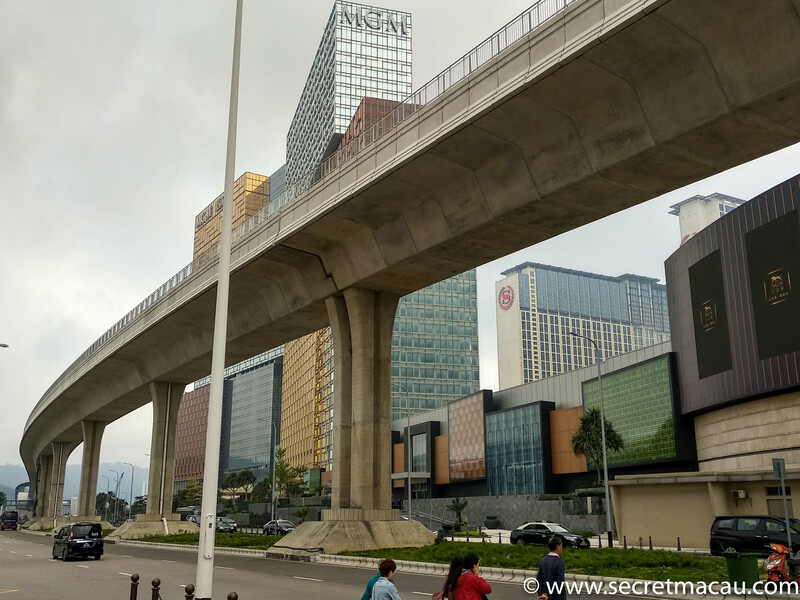 This line will connect the new Macau-Zhuhai-Hong Kong bridge (a massive undertaking, currently under construction) the Macau Outer Harbour Ferry Terminal.